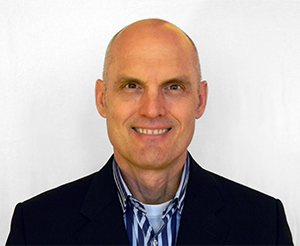 Czero’s new director of business development, Lyle Shuey, has spent decades helping technology companies develop and commercialize products for industries including transportation, energy, telecommunications, personal mobility, medical devices, government, and the military. Over the course of 15+ years in business development, Lyle has served as vice president of Business Development for JET Engineering, vice president of Business Development for LHP Software and vice president of Marketing & Sales for Bright Automotive. He also founded his own international consultancy in 2004. His experience in engineering and commercial projects in North America, Europe and Asia ranges from strategic planning and early-stage R&D to volume production, technology deployment, and expansion into new markets. He has also spent more than five years working in embedded software and embedded controls for high-tech applications. At Czero, Lyle will cultivate new opportunities for the Czero team to advance complex machine designs and solve tough challenges in energy conversion and storage. Lyle has a Master’s in mechanical engineering from Michigan Technological University and worked for nearly 15 years in key engineering roles at GM and Delphi before transitioning into marketing, sales and business development for technology-driven companies. If you would like to learn more about how Czero’s advanced mechanical engineering R&D services can support your in-progress or upcoming innovation projects, please contact Lyle.